The festival of colours is here and everyone seems to be revelling in the joyful spirit. From gorging on gujiyas to playing with vibrant colours, we love everything about Holi. 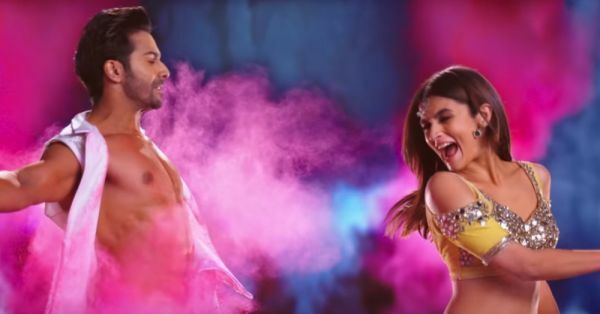 Bollywood never fails to go big on Holi, and why not? From Rang Barse to Balam Pichkari, it has given us some legendary numbers to groove on to every year. 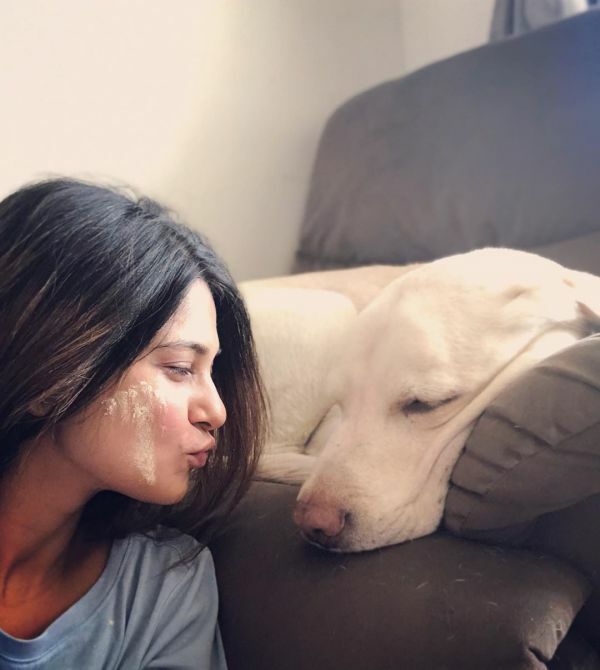 So, on the auspicious and joyful occasion of Holi, several Bollywood celebrities took to Instagram and Twitter to wish their fans a joyful and prosperous festival of colours. 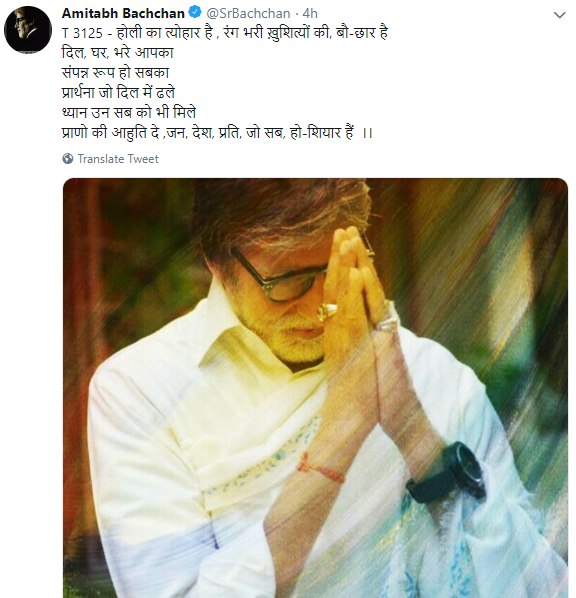 Amitabh Bachchan urged his fans to burn away all the evil that plagues the society. 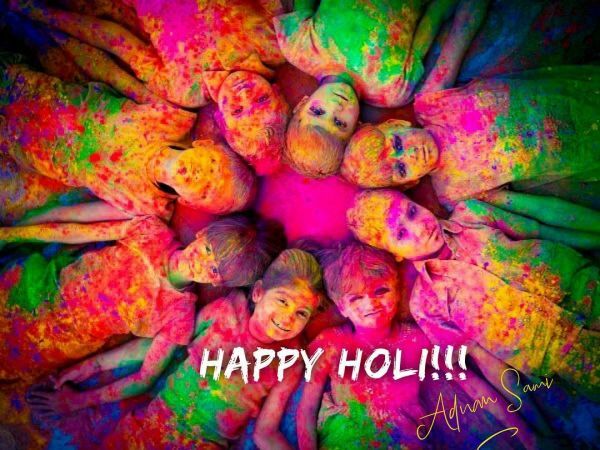 Singer Adnan Sami took to Instagram and wrote: "Here’s wishing everyone HAPPY HOLI with much love always! 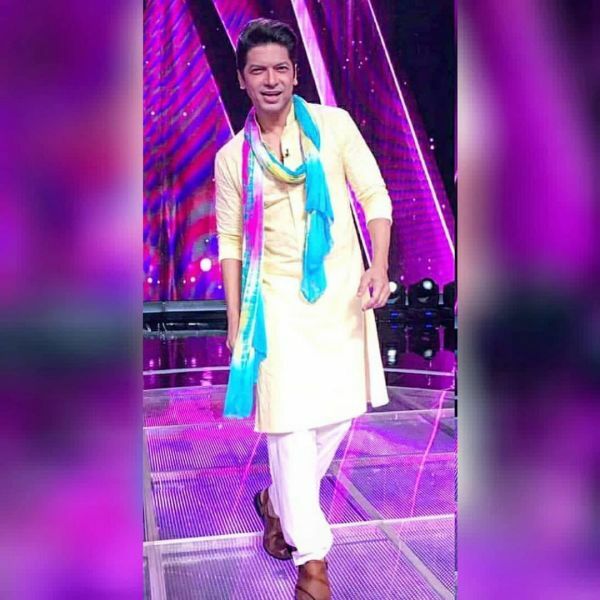 !💖"
Shaan posted his own picture on his Instagram wearing a white kurta and a colourful scarf. 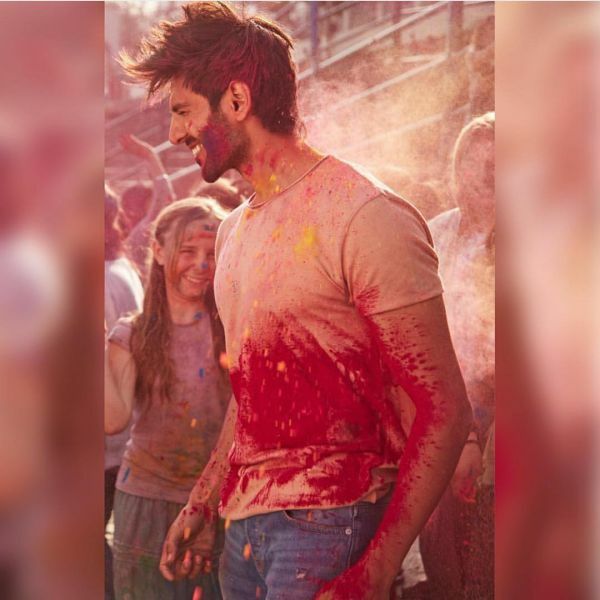 The singer's message to his fans was short and simple: "Happy Holi !!! 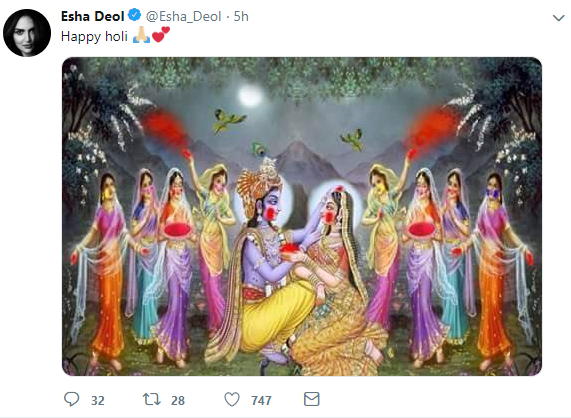 !🌈❤️🧡💛💚💙"
Actress Esha Deol posted a beautiful picture of Lord Krishna playing Holi with Radha and his gopis. Kartik had a rather desi wish for everyone. He wrote, "प्यार की होली के रंग में डूबा........... Happy Holi Ji ❤️💜💛💚💙". Sara's excitement for the festival of colours was evident from all the hashtags and emojis she used in her caption, "Wishing everyone a #happy #bright #colorful #exciting #playful #safe #holi! 🙏😀🙌🏻🌈🍭🔫🛁❤️🧡💛💚💙💜❗️". Jennifer's wish, on the other hand, came with an important message. 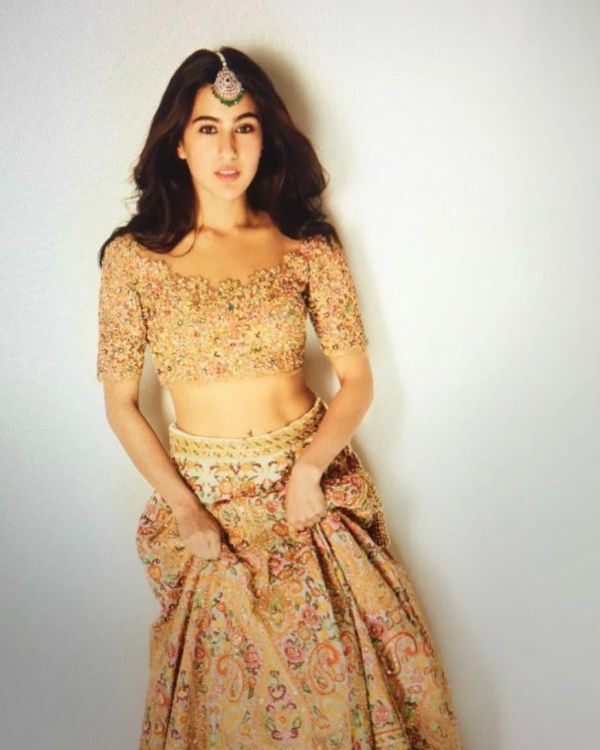 The actress wrote, "All the colour I need this Holi, in my life! Consider this an appeal to #SpareTheStray and keep colours off our animal friends. Let us all stand strong and responsible today to celebrate holi with the happiness of every human and animal alike. #livelifeincolour #happyholi." Little Inaaya also wished everyone from mummy Soha's account. 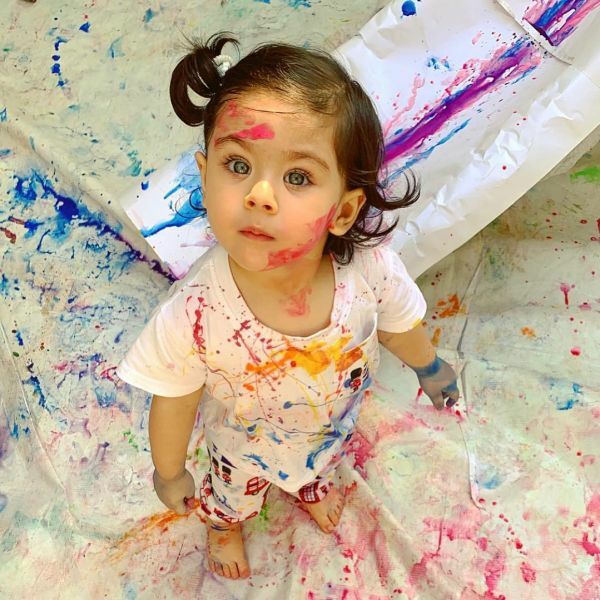 This has to be the cutest Holi wish this year, don't you think so? "Happppyyy Holi everyone!! 🌈 May this year be filled with colors of love, happiness and inspiration 🎨🎨 Please be safe and play this holi in an eco-friendly way! Save water 💦!! ", wrote Kriti. Are you listening? Happy Holi from all of us to all of you!